Dr. David Patzer serves as Medical Director responsible for clinical and administrative leadership to all psychiatrists and advanced practice nurses, in addition to ensuring exemplary clinical quality of care. Prior to joining MHC in 2009, Dr. Patzer worked for the Davidson County Drug and Mental Health Court programs. He was a faculty member of the Yale Child Study Center and University of Arizona, where he founded the Neuropsychiatric Disorders Evaluation and Research Clinic. 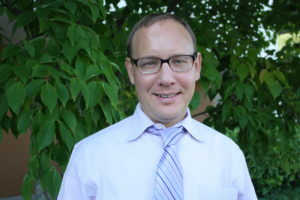 Dr. Patzer received his Medical Degree from Northwestern Medical School and completed Psychiatric Residency training and Fellowship at Yale University. Dr. Patzer completed an Addiction Psychiatry Fellowship at Vanderbilt University. He is Board Certified in Adult Psychiatry, Child & Adolescent Psychiatry and Addiction Medicine.